As a hybrid author, I have one foot each in two very different worlds. 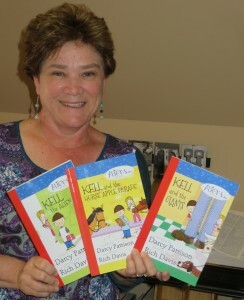 I am traditionally published and as an author/publisher, I release my own books. The worlds operate at tangents to each other and one point of contention is this question: how long does it take you to write a novel? Independent author Dean Wesley Smith has recently finished a year of blogging about his daily output, which includes emails, blog posts, novels and short stories. For example in June, Smith wrote 52,800 words of fiction, 14,700 nonfiction, 14,000 for blog posts, and 827 emails of about 22,900 words, for a grand total of 105,200 words. However, traditionally published authors often agonize over a novel for two or three years. Or more. Let’s just ask the question straight out? Which method of writing produces great novels? Both. And don’t let anyone convince you otherwise! Not editors and not indies. Then why is there such a wide range of discussion on the merits of the two viewpoints on the speed of writing? From a Traditional-POV, publishers generate over 50% of their income on their backlist, books that continue to sell 1000 copies a year and do so year-after-year. Yes, they need to add new books each year, but because their income isn’t starting at zero, they can be very selective in adding new books. Another strength of traditional publishers is that they have multiple sources of new stories each year, i.e. multiple authors. In fact, they will seldom put all their eggs in one basket, especially not yours. If you write quickly, a publisher will only take ONE of your mss in any given year, at least until you build a stellar reputation. Writing the Aliens, Inc series was fast! Each book took a month to write and after comments, a week to revise. By contrast, a middle grade novel might take me a year to write. Traditional publishers source stories from multiple sources, spreading the risk among many authors. Indie author/publishers have only one source of stories, and they must maximize their output. 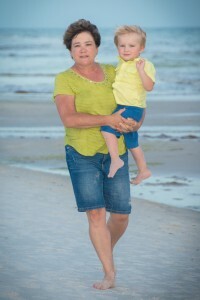 As my grandchildren are learning to walk and run, it’s tempting to compare the age at which they take that first step. NOT FAIR! Each child–like each novel you write–develops at its own pace. Comparison does nothing but add unnecessary anxiety. Of course, editors advise writers to slow down. They can’t handle ten books from you in one year. If you write ten in a year, you’ll likely need 5-10 publishers (if you can find them), at least until you build that reputation for blockbuster sales. Is there value in slowing down? Yes and no. Yes, it’s good to take the time to write well. Speed CAN lead to sloppiness, but it doesn’t necessarily. On the other hand, if your normal writing speed is fast, and you manage to turn out good stories, then slowing down feels like being hobbled. For some, it’s boring to write slow and only work on one project at a time. The Indie world emphasizes the need for speed. Dean Wesley Smith once asked a group of writers how many words they write in an hour. I shrugged. I could easily write a 1000-words in an hour. Then he suggested that I should be writing 8000 words/day, which would be 192,000 words or about 4 middle-grade novels (or two full-length adult novels) per month. Wait. Does that math work? Yes. But it’s also not that easy. When I know what I want to write—such as this blog post—I can easily turn out 1000 words per hour. But writing a novel is a different task. I like the analogy of a spider spinning a web. From her gut, she must create the raw materials of spider web silk, and then like an architect, she lays in the foundations of her web, hanging for her life from that slender silk while she does so. Once the foundation threads are laid, she spins more silk—from her very gut—and weaves a circular web on that foundation. She then lies in wait for a victim to arrive. Novelists spin characters and conflicts from their very guts and soul. We lay in the foundation of a novel’s plot, and then spin a story around that foundation. Finally, we lay in wait for a reader to be captured by the story. Once I get a foundation laid, I can spin out that 1000 words per hour. It’s that first part, creating the story’s silk from my very soul, that is hard. As the creator of the Novel Revision Retreat, I also understand the imperative of revising multiple times to get a story right. I teach and practice that a first draft tells you what the story is; the following drafts are for finding a way to tell the story in the most dramatic way possible to hold readers’ attention. My feet are firmly in both worlds. I need to produce works so I can build my indie backlist and thus up my income levels. However, I also understand that my process is slower than I’d like. I am working on various ways to boosting productivity, such as learning Scrivener. But in the end, I’m left somewhere in the middle, and I don’t think it’s a matter of straddling the fence. Instead, I think I am honoring my own process. For blog posts and picture books, I can and do write fast. But for novels, the thinking process is much slower than my ability to type. MUCH slower. It might take me six to twelve months to do this next novel. I refuse to be intimidated by the Indie crowd into going faster. Likewise, one of the appeals of being a hybrid or indie author is that no one can force me to slow down. I don’t have to wait a year for an editor to get back to me with revision notes. I don’t have to wait for an editor who promises a contract for fourteen months, and then rejects the novel, sending me into a new round of hopeful submissions. Slow writing doesn’t equal good. Slow writing doesn’t equal bad. Fast writing doesn’t equal good. Fast writing doesn’t equal bad. Instead, I will write at the pace each piece of work demands and allows. There will always be the Tyranny of the Urgent. This week I’ll be going to North Andover, MA to teach a Novel Revision Retreat and that means I must have the teaching materials done by Wednesday. That’s my writing focus this week. Fortunately, other deadlines loom in the future and those deadlines will demand that other projects consume my attention. For traditional publishers, the deadlines are few and far between. For indie publishing, I need to have books come out about six months before publication so they can be sent for review. Can I delay a book a month? Easily. But I try to set a publication date and stick with that. It’s a business thing. Some argue that if you can write quickly under a deadline, then you could do it anytime. Not for me. Because a deadline FOCUSES my writing and writing time in a way nothing else can do. In other words, external deadlines also affect my output. I still honor what a piece of writing demands, but at the back of my mind, I know what that demand is. And when I add that to the deadlines, I can instinctively allow more or less time before a deadline for that piece. Do You Work Fast or Slow? Good. Write at the pace that works for you for any particular project. Learn from productivity tips and use whatever software is most productive for you. Don’t be intimidated by editors who demand slow work, or contemporaries who rave about the benefits of writing fast. In the midst of the swirl of opinions, write. Your way. Your stories. As David Bayles and Ted Orland say in Art and Fear, “Your job is to learn to work on your work.” I’ll add: And do it at your own pace. I couldn’t agree more! The only way to figure out your process is to write, a lot. I come from a blogging background, so when I started writing novels I was having a blast churning through rough drafts in six weeks or so. The rewrites were killing me, though, and I realized I’d turned myself into a content farm. There was too little art in what I was doing, which was why the rewrites were so extensive. On my most recent manuscript, I slowed it down so I could enjoy each scene. It took me almost twice as long to finish the first draft, but I liked that draft so much better! There’s very little one-size-fits-all advice for writers! We agree, as well. We’ve often heard of writers who can generate large quantities of prose in a very short time, when we write around 1,000-1,500 words per day, at best (and this not having a regular job to go to). But we take the time to self-edit, thereby eliminating some of the editing process we’d otherwise be subjected to later. We prefer taking a bit more time in the beginning to having to edit more thoroughly later. But neither method is wrong.